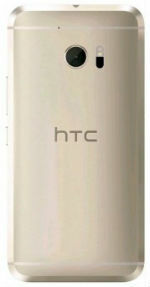 The HTC 10 comes with a 5.2-inch S-LCD 5 display panel with a resolution of 1440x2560 and 565ppi density. Powering the device from within is a Quad-Core 2.2GHz Qulacomm Snapdragon 820 processor with 4GB of RAM and the Adreno 530 GPU. Aside from the 64GB internal storage, the HTC 10 comes with a microSD card slot for up to 2TB memory expansion. Camera-wise, the phone is equipped with a 12MP rear-facing camera with 4K video recording and a 5MP front-facing camera. The HTC 10 packs in a non-removable Li-Ion 3,000 mAh battery. Upon release, the phone runs on the latest Android 6.0 Marshmallow OS. Color options include Carbon Gray, Topaz Gold and Glacier Silver. The HTC 10 is here! Check out our Unboxing of the new HTC 10. In this video we unbox the all-new Glacier Silver HTC 10 from Verizon Wireless. The introduction of a challenge unlike any other. Top 10 Android Apps of May 2016! We've compiled a list of 10 of our favorite Android apps to hit the Google Play Store in May 2016. At its I/O developer conference in Mountain View, Google announced the inaugural Play Awards to feature some of the best Android apps of 2016. HTC 10 Challenge: The Best Built Smartphone? 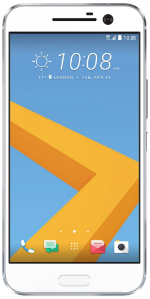 The HTC 10 is certainly a contender for the best built smartphone award. HTC 10 Challenge: LCD or AMOLED Display? 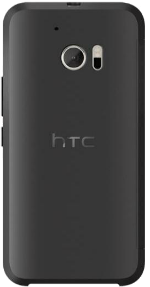 The HTC 10 features a 5.2" LCD5 capacitive touchscreen display with a QHD (2560 x 1440) resolution and two display modes: vivid and sRGB. The HTC 10 is unofficially running Sense 8.0 on top of Android 6.0. We know it's running Sense, and we know that the HTC One M9 was running Sense 7.0. Top 10 Android Apps of June 2016! We've compiled a list of 10 of our favorite Android apps to hit the Google Play Store in June 2016. The apps highlighted in this video include Evie, SleepCast, Rush Rally 2, Dango, Flamingo, NinjAwesome, Slash Keyboard, FX File Explorer, Radon, Crazy Cars Chase. Which app is your favorite?